President Trump has warned that ordinary, gun-carrying Americans will revolt if the deep state attempt to remove him from office. 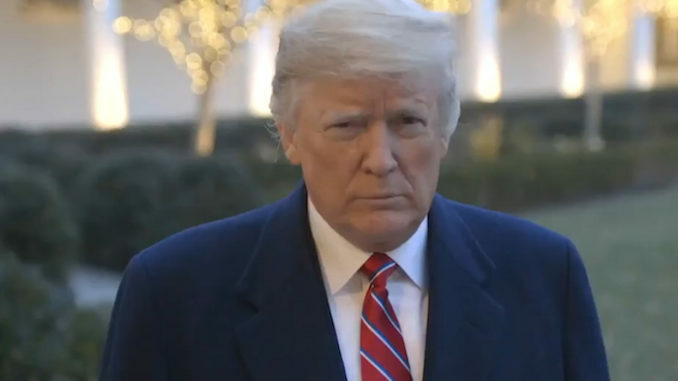 According to sources, Trump thinks that Democrats are so hellbent on stopping America’s recovery that they will orchestrate a destabilizing crisis on the border, collapse the economy or even spark a civil war as a means of removing him from the White House by force. 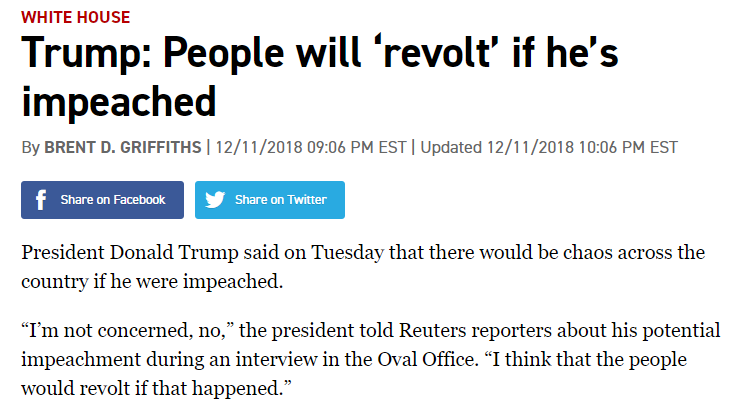 Infowars.com reports: However, Trump believes that both the U.S. military and the American people would not stand for such a scenario and would rise up against it and that there would be a “revolt” because Americans are “too well armed”. The phone call was further discussed during a meeting between three people, one of whom was Roger Stone and another being the same person who spoke directly to Trump. Other prominent individuals close to the president have confirmed that what Trump said during the call was his ongoing state of mind over the past several weeks, if not more, and that the phone call wasn’t unique in that sense.